People love travelling ever since the begining of their adult life. Many of them started with the weekend trips with their parents. Generally they used to just drive outside the city into the countryside with food and drinks packed in a backpack kept in the boot of the car. It is said that every journey begins with a single step. These trips acted as people first steps in journey to become an avid traveler. The best part of any trip for a traveler is a souvenir that reminds him/her of the entire trip. This souvenir could be a showpiece article for the home, a hat or a sticker patch like for example flag patch or anything else. One thing that always accompanies you on your trip is your bag/backpack. 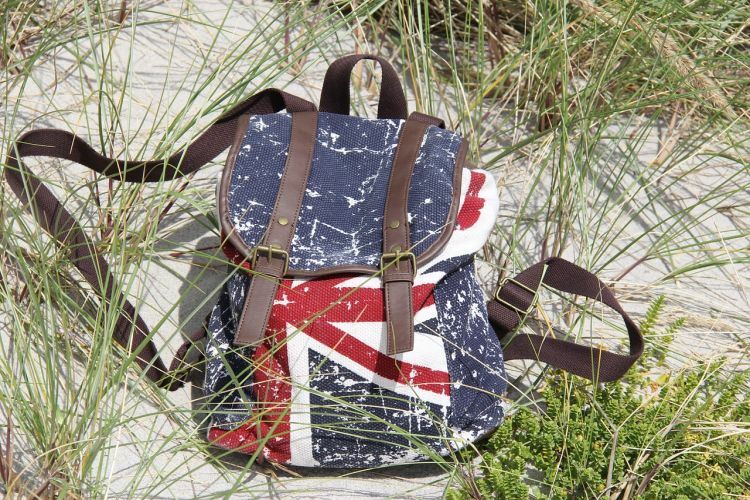 Therefore, it would be great if memories of all your trips are stitched onto your backpack. It’s important for a traveler to know how to put patches on a backpack. Though it’s not difficult to sew a patch on your backpack, a finely finished job not only gives ultimate satisfaction but it also ensures that your souvenir lasts longer. That’s the reason, we have prepared a comprehensive guide to show how to sew flag patches on backpack. Just follow the instructions and get an amazing professional finish. (e) Some safety pins or pins. 2. Clean the bag surface. 3. Place your flag patches or any other patch after cutting it in shape on the surface where you want to stitch. TIP – Select the location such that you can hold the patch from underneath as well. 4. Thread the needle with suitable length of single strand of thread. Approximately 2-3 times the perimeter of the patch should be adequate. Tie a knot at the end. TIP – Choose a strong thread and a thin needle. 5. Extra length beyond the knot should be cut away sparing only 1cm. 6. Pierce through the patch and bag with the needle and pull the thread from behind so that the first knot is not visible. TIP – You might use a hard object like the scissors handle to push the needle through. 7. Stitch around the patch using ‘whip stitch’. 8. When you reach the start point, tie a knot using the needle by making 2 loops around the stitch. Then pierce through from the behind to bring the needle to the front side and cut the thread. Remember that just like any new skill, this may take some practice to reach a high level of proficiency. You may therefore practice a bit before undertaking the actual task to sew flag patches on backpack. That way you will gain confidence and improve your finishing. It definitely gives an immense sense of satisfaction to stitch your first patch on your bag.